"Belt Purse"? Seriously, folks? 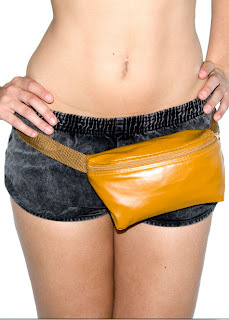 While it's true that fanny packs having been making a comeback and have been recently spotted on the runways, the fact that you need to constantly ask yourself if it's cool or not means that it's probably not. Sure, maybe we secretly think it would be fun and convenient, but it makes walking and sitting kind of awkward and just looks so silly that we would never condone this.